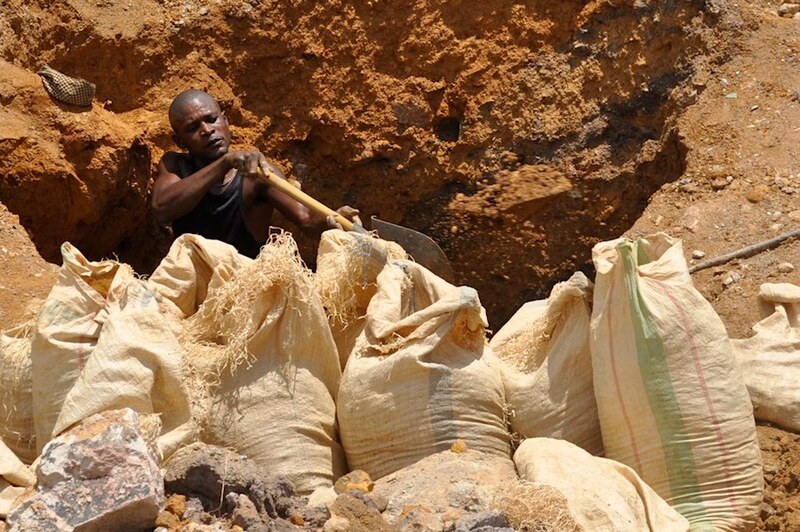 Photo: Artisanal miner digging for copper in Congo. | Courtesy of Fairphone. DAKAR, Sept 10 (Reuters) – Democratic Republic of Congo's revenues from its mining sector nearly tripled in the first half of 2018 over the same period last year to $864.61 million, the finance ministry said. Revenues from the hydrocarbons sector, however, declined by a third to $67.75 million, the ministry said in a quarterly report seen by Reuters on Monday. The two sectors together account for roughly 95 percent of Congo's export revenues. Congo is Africa's leading copper producer and the world's top miner of cobalt, which is prized for its use in electric batteries.